It doesn't matter how old you are on the outside that counts, it's how old you are on the inside. Knowing your fitness age will give you an idea on how long you'll live. First created by researchers from the Norwegian University of Science and Technology, your fitness age takes your respiratory health into account and is made up of different components including your heart rate, waist size how much you exercise and so on. Mine was 7 years younger. 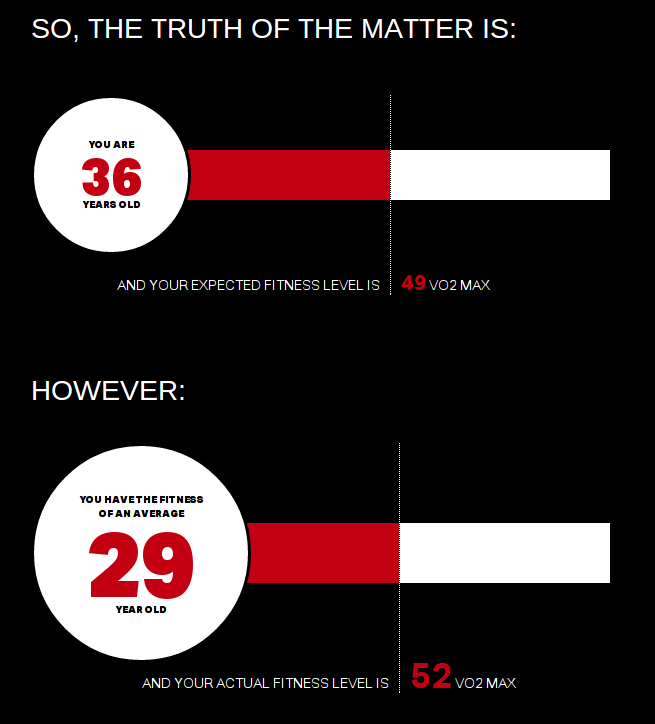 Calculate your fitness age. Man, it showed me as under 20 and I'm 43!!!!!!!!!!!!!!!!!!! !